EdgeMarc 4570 Enterprise Session Border Controller with 8 x FXS ports and 15 WAN Calls. The EdgeMarc 4570 combines an 8 port Integrated Access Device (IAD) and multiple voice and data features into a single, easy to use enterprise session border controller. 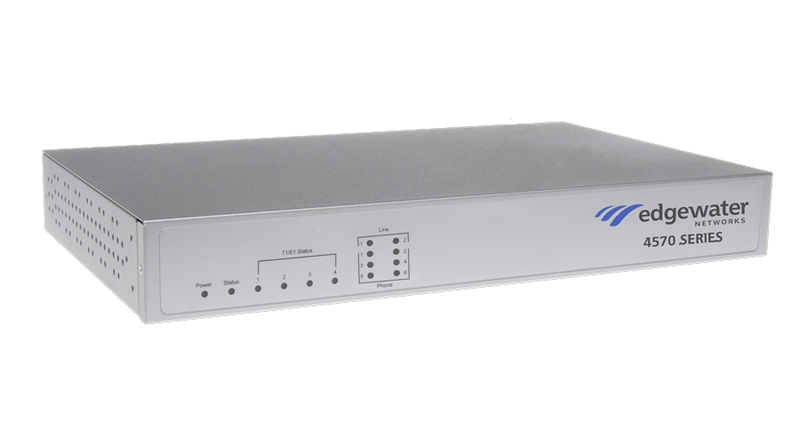 It provides a single Ethernet WAN port, a 4 port managed VLAN switch, and integrated analog phone ports. The 4570 is a versatile system that replaces standalone IADs and is used to connect PBX/key systems and analog phones to managed PBX and SIP trunking services. Replaces part #EM-4508E-15.